With December just around the corner, it’s time to toast an official goodbye to Fall, and what better way to do so than with a little rum therapy. This twist on the all-coveted pumpkin spice latte is the ideal farewell to the colours and flavours of Fall. 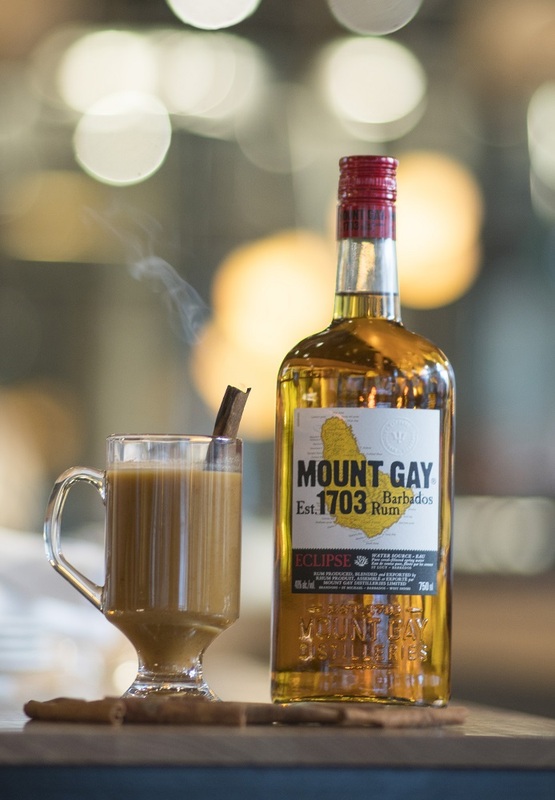 With a history spanning over 300 years, Mount Gay Rum is the drink of the island of Barbados. This amber-coloured rum is composed of complex flavours with hints of molasses, candied ginger, clove and vanilla. Created by head bartender, Matt Conway, Northern Maverick Brewing Co.’s Rumpkin Spice Latte is an ode to the love of pumpkin spice everything. Make your own coffee-house inspired drink at home with this unique spiked latte. The boozy kick of island rum pairs perfectly with the hints of cinnamon and nutmeg in the pumpkin spice, adding a touch of warmth to any part of your day. Garnished with a torched cinnamon stick. *Pumpkin Spice Mix contains pumpkin puree, apple cider, cinnamon, ginger, nutmeg, clove, white sugar, brown sugar.